Fenergo’s software solutions enable financial institutions to solve the challenges of the “perfect storm” by streamlining the end-to-end client lifecycle management processes (from regulatory onboarding, data integration, client and counterparty data management, client lifecycle reviews and remediation all the way to client offboarding etc.). Our solutions are proven to improve compliance, operational efficiencies, time to revenue and client experience. Fenergo is fast becoming the industry standard for Client Lifecycle Management solutions. In 2015, Fenergo secured US$85 million in funding from Insight Venture Partners and Aquiline Capital Partners to accelerate its global footprint to help financial institutions in every corner of the world to address the regulatory, entity data and onboarding challenges. 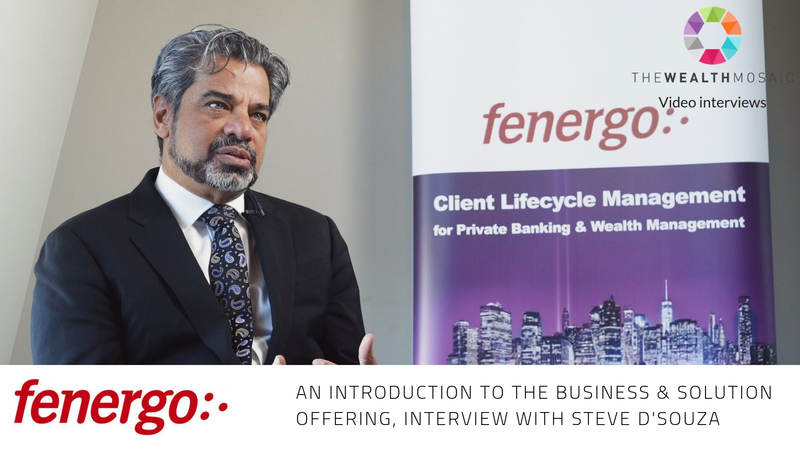 Fenergo Client Lifecycle Management (CLM) is an end-to-end platform that transforms how sell-side banks and buy-side firms manage clients – from initial onboarding to KYC/AML compliance, to client data management and ongoing lifecycle KYC reviews and refreshes. We have been solving client onboarding, data and operational management challenges for some of the world's largest financial institutions since 2009. With 100% focus on financial services, Fenergo’s Regulatory Analysts and R&D teams are solely committed to solving and addressing the challenges faced by institutional banks. Fenergo works closely with our clients to ensure that all of their regulatory compliance and entity data management requirements are met fully and satisfy regulatory scrutiny. Fenergo runs a number of client engagement forums such as Client Advisory Boards and Regulatory Forums, which provide our clients with a direct impact on the Fenergo solution suite and ensure that our solutions are closely aligned to solve the challenges our clients are facing. Client Lifecycle Management doesn’t happen in a vacuum. Instead it involves data take-on from a number of industry data providers (AML, industry, entity data providers and KYC utilities) and internal bank systems. Fenergo lies at the heart of the Client Lifecycle Management ecosystem, connecting seamlessly with all the major data providers to consume this data and enrich, process and route it to the right internal systems, ensuring a single client view is available throughout the institution. Fenergo’s content-rich solutions are created in line with our Client Advisory Board to address the key challenges facing financial institutions in the areas of regulatory compliance, legal entity data management, client onboarding and Client Lifecycle Management. Fenergo has a unique breadth of global regulatory coverage (from global and local Anti-Money Laundering, Know Your Customer regulations to tax compliance obligations like FATCA, Common Reporting Standards, to global OTC derivative reforms like Dodd-Frank (US), MiFID II, EMIR (EU) and Canadian and APAC derivative rules). Our focus is to ensure that our clients are future-proofed against regulatory change. Fenergo hires and cultivates financial technology specialists with global experience from the worlds of regulation and banking to develop and deliver best-in-class Client Lifecycle Management, Regulatory Onboarding and Client Lifecycle Management solutions for our clients. Our dedicated team of Regulatory Analysts keep a constant eye on the ever-changing regulatory environment, translating these changes into software solutions that keep our clients ahead of the regulatory curve. Fenergo is dedicated to helping the world's leading financial organizations simplify and solve global regulatory and digital transformation challenges. Its rules-driven solution ensures compliance with multiple regulatory frameworks and supports the collection, centralization and sharing of client and counterparty data and documentation across the institution. By expediting compliance and improving operational efficiencies, Fenergo’s CLM solutions can help financial institutions to onboard clients faster (by up to 82%) and deliver a radically richer and better client experience. 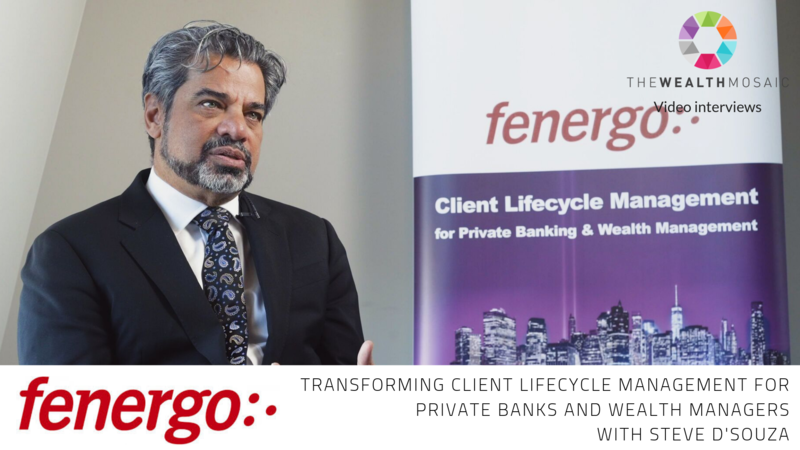 Fenergo integrates and connects with leading organizations within the financial services Client Lifecycle Management ecosystem to develop and deliver best-in-class solutions for our banking clients globally. We will inform Fenergo of your interest and request that they connect with you.